We embrace and reflect the diversity of our students and are dedicated to academic excellence and intellectual discipline. Students feel secure, experience the joys of learning, and know their accomplishments are valued. The methodologies utilized are enhanced and supported through small classes, a dedicated group of professional educators, and a commitment to the success of the individual student. The curriculum is dynamic, rigorous and reflects an understanding of the many ways children develop and learn. In every grade, new concepts are introduced, reinforced, and mastered through a range of concrete experiences and opportunities to develop abstract reasoning. To maintain an atmosphere highly conducive to learning, Tall Pines School promotes a set of values, including cooperation, honesty, and respect - both for self and others. The School provides experiences which will help each child during their formative years to develop not only mental and physical skills, but desirable social habits, appreciations, and ideals, so that they come to make positive contributions to society. Our curriculum is a traditional presentation of basic skills for reading and mathematics. This translates into a lesson that is presented to the entire class and reinforced with concrete examples completed in class, and then homework in the subject area every night. This is a curriculum-driven school where the children move from the concrete to the abstract. By acquiring skills with rationale, children are able to move to abstract thought processes and conceptualizations. Homework is an essential part of this learning system. Aside from the skills and knowledge acquired, this gives the children an opportunity to learn how to organize themselves, allocate their resources, and take responsibility for completing tasks. Tall Pines School students are active learners, deeply interested in their own education. Classrooms are highly participatory, with teachers and students engaging in a constant exchange of ideas. There is an easy rapport, a delicate balance of formality and friendliness, as students speak up, share their thoughts, and refine their ideas and thinking skills with the help of teachers and classmates. This type of dialogue and debate sharpens communication skills and encourages intellectual risk-taking. To educate the whole child, Tall Pines School has developed a balanced program of academics, the arts and athletics. A quest for academic excellence is the defining element of a Tall Pines School education. The academic program is an upward progression toward more sophisticated cognitive reasoning and ever-greater intellectual challenges. In the primary grades, we emphasize mastery of reading, writing, math and science. In the upper grades, students synthesize and apply their academic foundations, developing into analytic thinkers and creative problem solvers. Tall Pines School is intellectually alive with opportunities for academic achievement and encouragement for students to embark on adventures in learning that test their knowledge and skills. We are committed to the Arts as a means of developing an appreciation for beauty and a respect for creative endeavors of all kinds. Leadership development occurs at every level as students are challenged to be role models and take on responsibilities within the school. A fine athletics program teaches the students of the lessons of sportsmanship and the value of pushing one's self to new limits. With small class sizes, Tall Pines School provides the individual attention that enables children to excel and to participate actively. Teachers are with the students all day in classrooms, on the playground and athletic fields, and in many after-school activities. As a result, faculty members get to know the children well and can focus on each student’s special talents, interests and learning style. Our teachers work with those talents to nurture them, expand them and use them as a basis for developing other interests and skills. 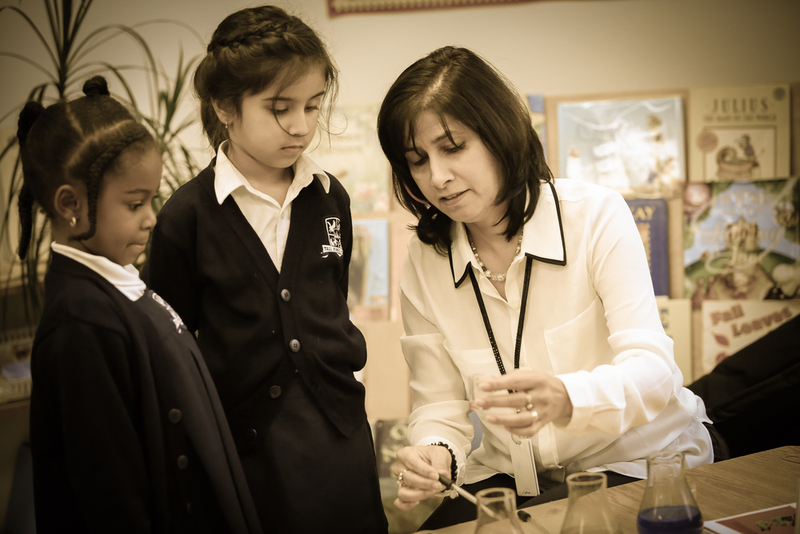 Our emphasis on a balanced curriculum ensures a broad range of learning opportunities. Teachers match individual students with educational endeavors—in academics, the arts and athletics—that build confidence and a true love of learning.